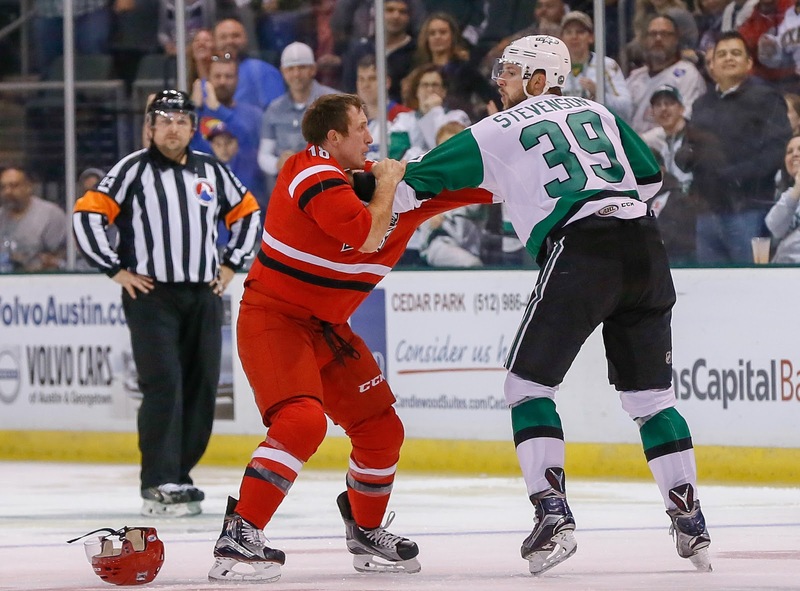 Well, there's no salve more curative than winning, and Texas has a cherry of a chance tonight against San Antonio. 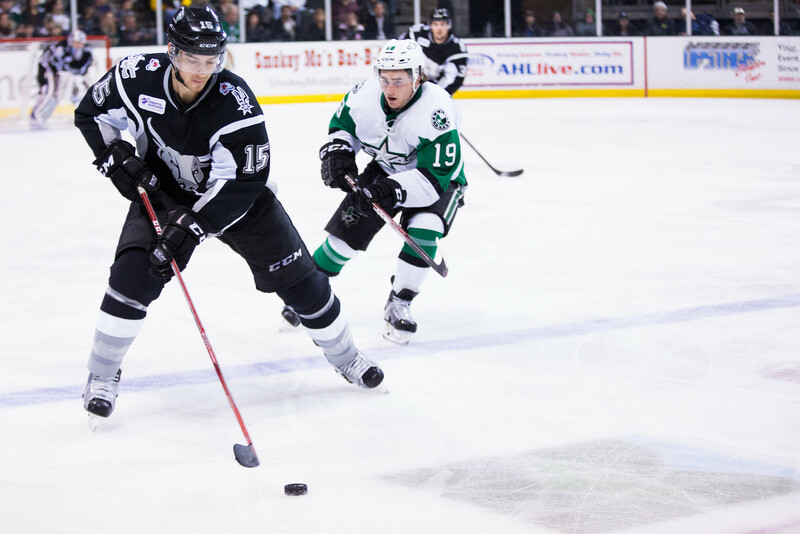 The Stars are winless in their last three, but the Rampage haven't won a game yet this season. 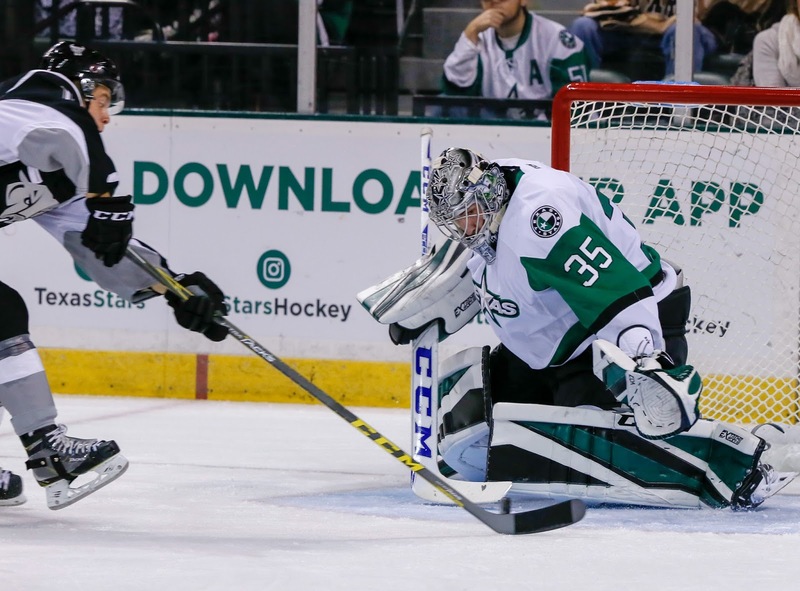 San Antonio's goalies have given them a chance to win in most of those games. I would argue Spencer Martin and Jeremy Smith each had quality starts (to mix sports a bit). However, they haven't been getting the run support. In four games, they've scored five goals. There isn't a goalie tandem in the league that could get a ton of wins with that sort of offensive effort in front of them. And it's not like the team doesn't have offensive weapons. Rocco Grimaldi is back. Mikko Rantanen is on brief assignment to rehab an injury. Two players who haven't contributed yet that need to include Mike Sislo and Joe Whitney. Last year, the two scored a combined 86 points and should have some chemistry from their days together in Albany. So far they have no points in the four games despite being first and second on the team in shots. Now, if this preview were coming from the other side of things, the San Antonio Rampage must be champing at the bit to see Texas. As mentioned above, the team is in desperate need of some offensive spark and they must see in Texas a club that could help them with that. After two wins, Texas allowed more than five goals in each of their last three games, all losses. As in so many of these previews, something has got to give. 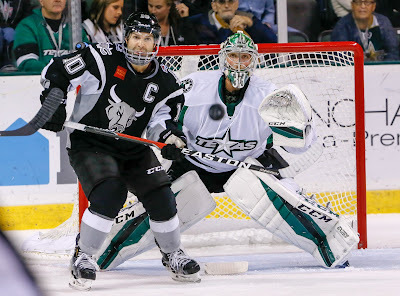 Either Texas stops some pucks and halts San Antonio's chance at offensive mojo or San Antonio lights up their offense against the Stars. Maxime Lagace will start. Texas is without Gemel Smith and Justin Dowling. 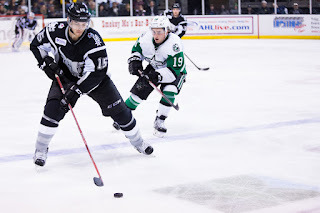 Caleb Herbert and Travis Ewanyk have been added from Idaho to compensate. Jason Dickinson is also back in the lineup after missing the start of the season recovering from surgery he had over the summer. San Diego and Texas notched five third-period goals between them and the Stars came out on the short end of the affair, dropping to 2-2-1 on the season. 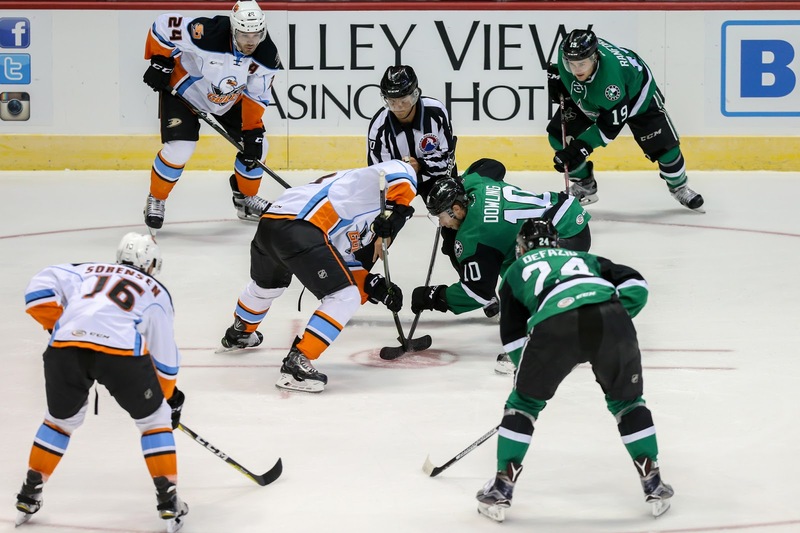 The Texas Stars scored three goals in the opening 10 minutes of the third to take the lead, but the San Diego Gulls answered back with two goals 24 seconds a part in a 5-4 finish on Saturday night at Valley View Casino Center. 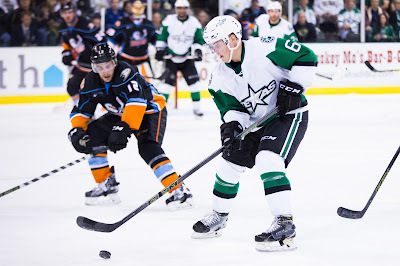 Cole Ully, Remi Elie and Brandon DeFazio each scored for the Stars (2-2-1-0) in the third to take one-goal edge, but Antoine Laganiere and Stu Bickel struck the quick goals for the Gulls to pull out the win. 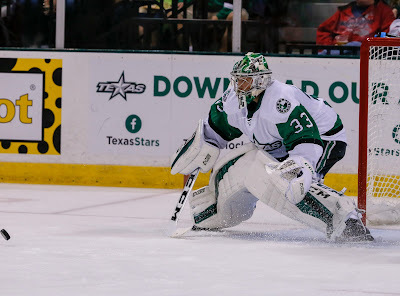 Phil Desrosiers stopped 33 shots in his first start of the season. Dustin Tokarski was 25 of 29 in net for San Diego (2-1-0-0). 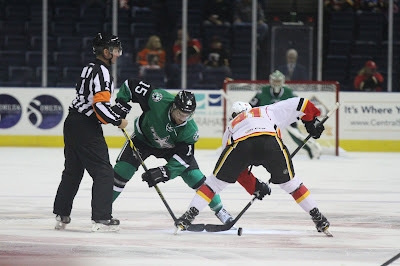 The Stars return home on Tuesday to host the rival San Antonio Rampage at 7:30 p.m. CST at H-E-B Center. The goal-scoring frenzy wasn’t limited to just the third. San Diego scored a pair of goals in the final minutes of period two to snap open a tie game. Brandon Montour drilled a shot from the top of the right circle to give the Gulls their first lead of the night with 3:05 to play. Nick Tarnasky added his first of the season just over a minute later to make it a 3-1 score. Both teams traded goals in period one to open up the scoring. Matt Mangene put Texas on the board with his first of the season at 7:21 from the right circle. Kevin Roy responded with his first career AHL goal four minutes later to tie things for the Gulls. Overall, the game saw four lead changes between the two teams as they are slated for three more meetings during the regular season. 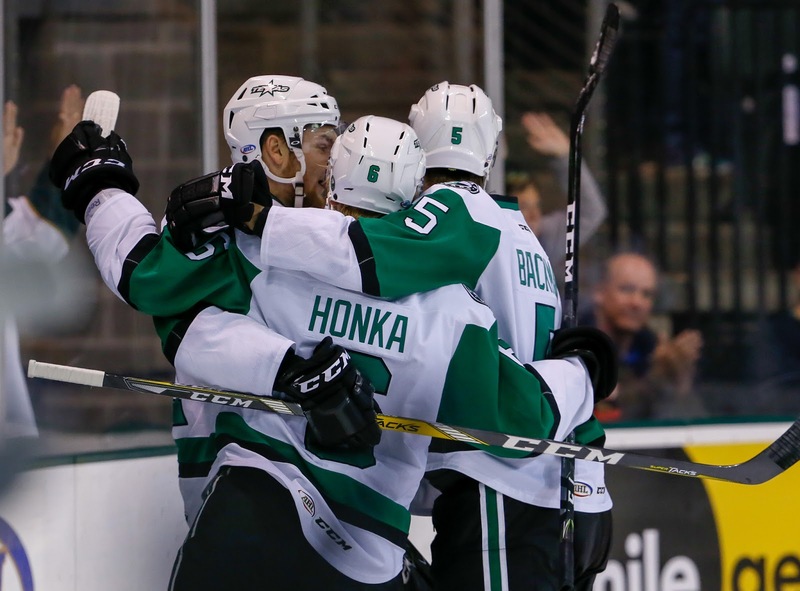 The Stars power play stayed hot going 2-for-4 in the game, giving Texas six power play goals over their first five games of the season. San Diego finished 1-for-5 on the man-advantage. The Gull outshot the Stars 38-29 in the contest. 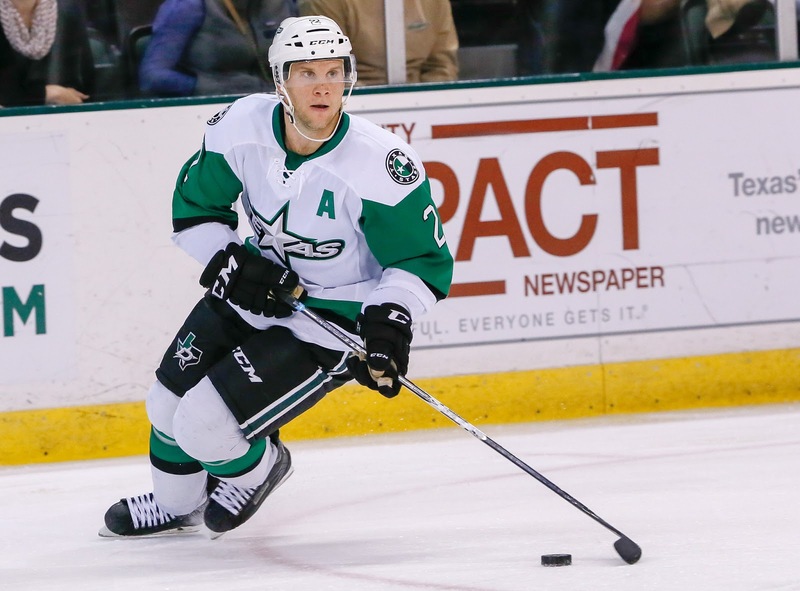 UPDATE: Forward Gemel Smith has been recalled to Dallas. Somehow we're a week into the season and tonight's game will only be Ontario's second game of the year. The 68-game schedule rears its ugly head already. 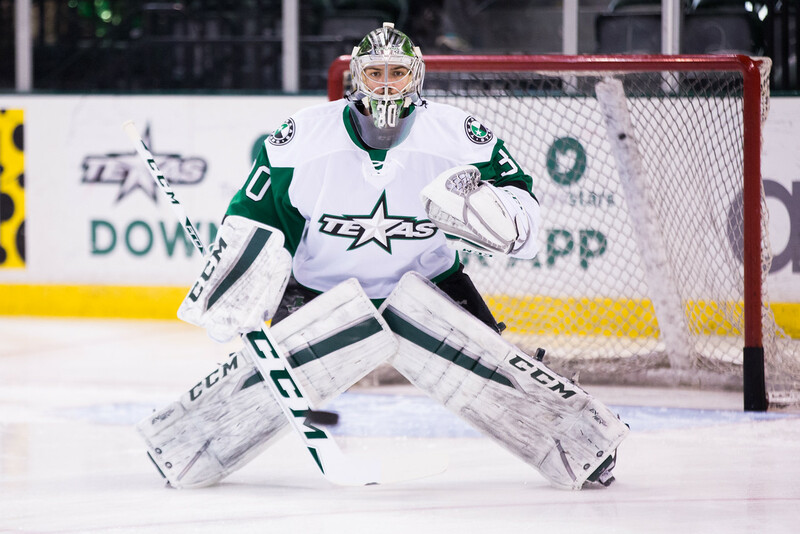 It's opening night for the Reign, so Texas will have to endure a lengthy introduction ceremony. Regardless of the scheduling, the biggest news affecting tonight's game happened in the NHL last week. Kings goalie Jonathan Quick injured his groin, requiring surgery and putting him on the IR for three months. 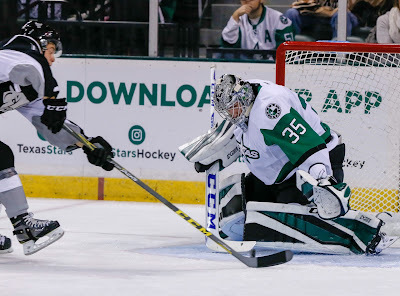 Peter Budaj, the best goalie in the AHL last year, was recalled to the NHL and the backup in the AHL slid into the starting role. You might know the name. After his trade this summer, the once and future goalie of the Dallas Stars found himself in the AHL backing up Budaj. The injury has thrust him into the role he definitely wanted to start the year and given him a chance to put himself in the long-term plans for the Kings. Campbell has had this opportunity before with Dallas but was unable to convert it into an NHL gig. 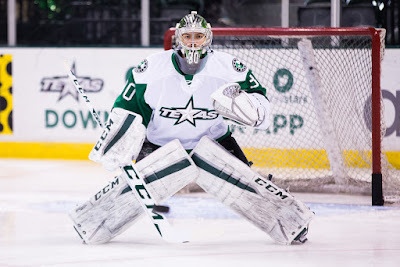 Last year he found himself in the ECHL after starting the season 3-6. Now he can at least work to make the case that he deserves to split time with Budaj when he returns. If the Kings sputter in net with Quick gone, he could even get a chance to swap with Budaj in the NHL and give it a second shot there. On the Texas side, watch for the Stars to hit the ice strong tonight. Ontario is a tough team and didn't lose much steam from last season, when they were best in the West (but didn't win the Cup). Chip on their shoulder for that and a week of rest. 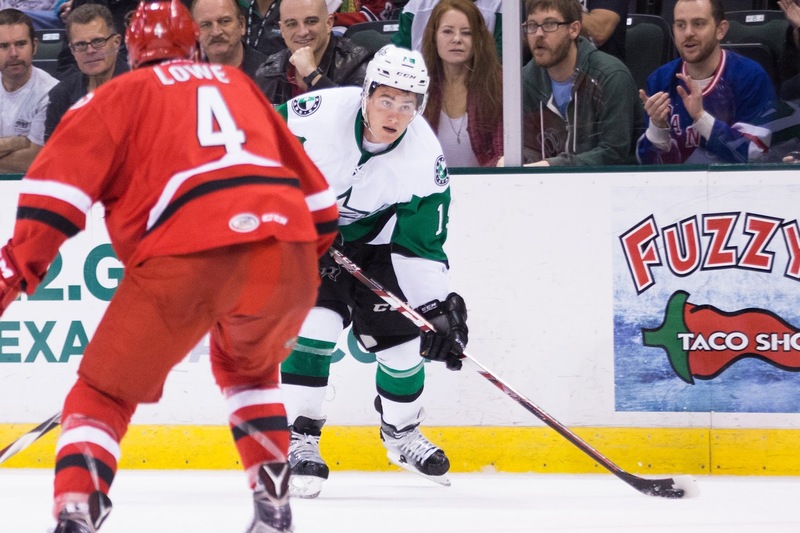 Texas made a few transactions today that help set their roster a bit more for opening night. 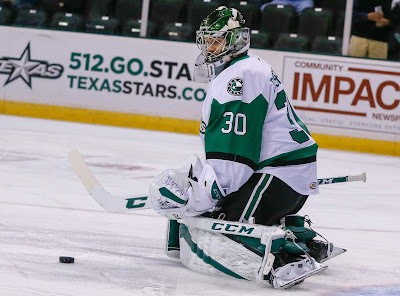 The biggest news is that Landon Bow is heading to Boise, which means Maxime Lagace and Philippe Desrosiers are the goalie tandem here in Cedar Park. 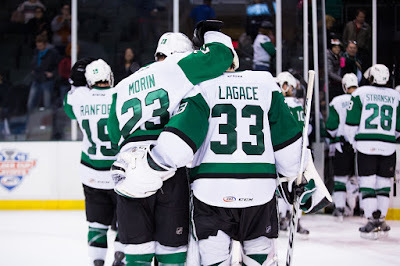 Lagace is your likely starter most nights though. It remains to be seen how coach Laxdal splits the workload. 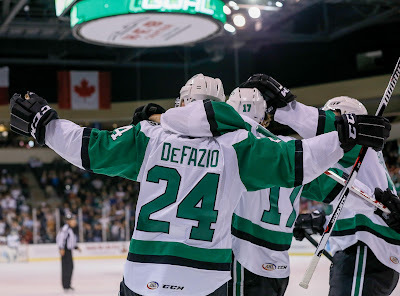 Desrosiers is a top prospect for Dallas and needs ice. However, the value of the ice is also important. Odds are Dallas thinks 25 AHL games is more valuable than 50 ECHL games. I would agree. 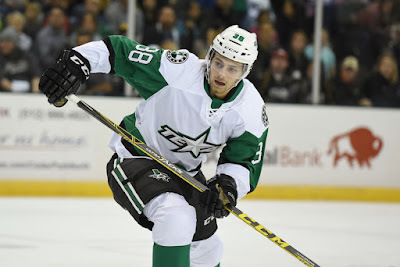 Otherwise, Texas added Miro Karjalainen, who is likely to end up in the ECHL for Texas. He is a former fifth round pick of Dallas. 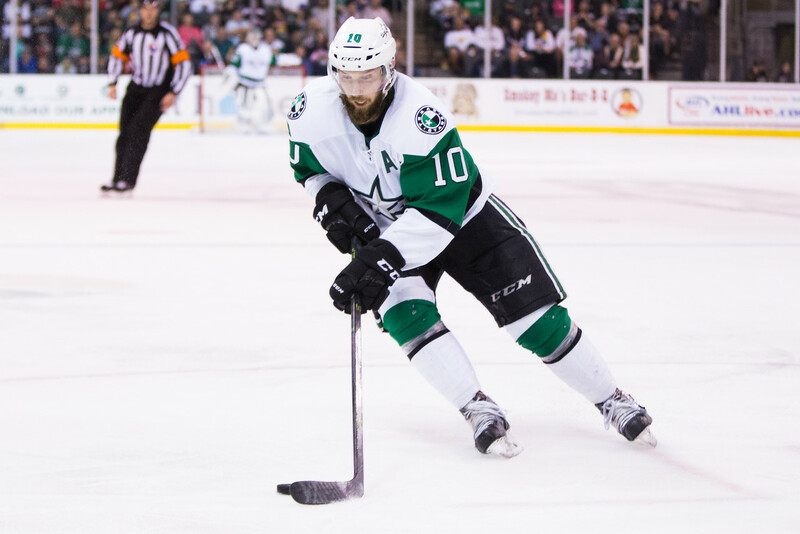 The Texas Stars, American Hockey League affiliate of the NHL’s Dallas Stars, announced Monday the team has reduced their training camp roster by two.